Is it time for that old and faded wallpaper to go? Removing wallpaper can be tricky without the proper tools and relevant experience. At Wallpaper Installation our teams have years of experience removing wallpaper for all types of projects, from small residential jobs to large commercial jobs. We know all the tricks of the trade and can get the job done fast. If you don’t have the right equipment we have Our crews’ knowledge and experience combined with professional grade equipment enables us to remove wallpaper quickly and effectively. We make sure your walls are scrapped completely clean, so that you can move on to the next step of the process. 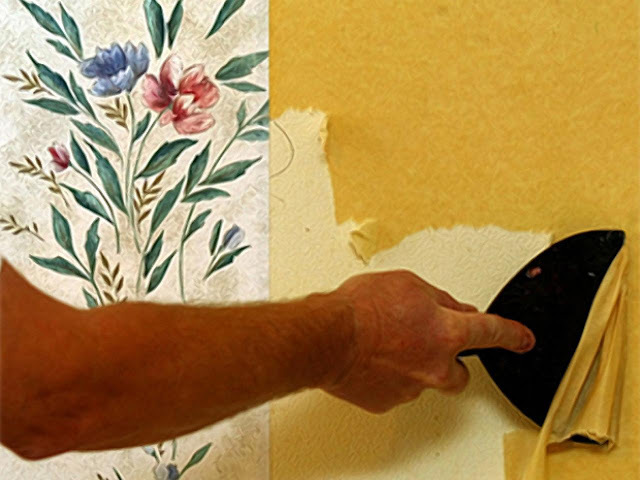 Additionally we can repair any cracks or damage to your walls that may have been hidden underneath the wallpaper. Once the walls are ready to go, we can start painting or installing new wallpaper. Starting any home improvement project can be a challenge if you don’t have a team that you can rely on. When you choose our company, you will never have to worry, because our team is our committed to helping people transform their homes. We take our work seriously and make every effort to provide top-notch customer service. With each and every client we look to develop a long lasting partnership. To make the process stress free we have knowledgeable project managers that will take you through all the steps of your project. We’ve developed a Satisfaction Guarantee that is one of the best in the business, so you’ll never have to worry. For wallpaper removal in New York from a team you can count on. Ready to get started? Get your free estimate today. We can help you remove wallpaper from one room or the whole house.